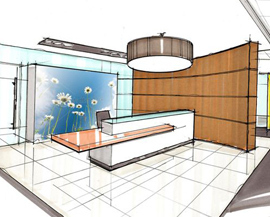 Office Fit Out Company UK, Interiors for Office Fit Out, Office Design. When space planning has been sufficiently developed, reviewed and approved then the process can continue to develop the interior office design scheme. This will include the selection and specification of elements for the interior fit outs such as colour, finishes, materials, lighting, furniture, storage, and fittings for client approval. Detailed drawings and specifications are developed to include all elements of the scheme. 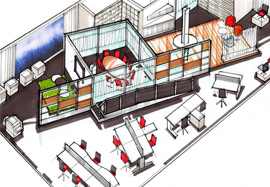 Such information is crucial to obtain accurate costing for the fit out stage. 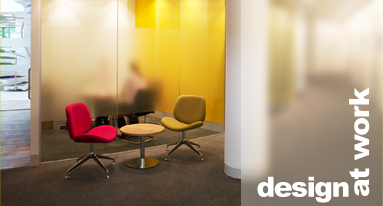 Quotations are obtained from specialist fit out companies and contractors who specialise in interiors for office fitouts to ensure you, the client, are achieving best price and value. all of which need to be seamlessly brought together to create great places to work that are efficient and future proof. Design at Work Ltd The Old Chapel, 14 Fairview Drive, Redland, Bristol BS6 6PH.